Once the diagnosis of MDS has been made, you and your doctors will decide on the best treatment for you. The treatment that you are offered will depend on the type of MDS you have, your own wishes, your age, your general well-being or fitness and the IPSS-R score. 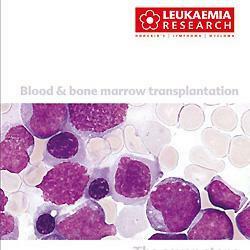 New treatments are being developed for MDS. The process by which a new treatment is tested and evaluated is called clinical trial. Clinical trials aim to gather the evidence necessary to make a decision about changing standard practice. There are many drugs currently being tested. Your doctors will inform you if you qualify to take part in these trials. Despite the great progress made in fighting MDS, unfortunately most patients’ MDS cannot be cured - however, MDS can usually be controlled and often improved. We recommend you to consult an MDS expert , at any time or stage, but especially if you are seeking an additional opinion. These physicians have extensive experience treating MDS patients - and will work with your local haematologist to offer you the best possible care and advice. 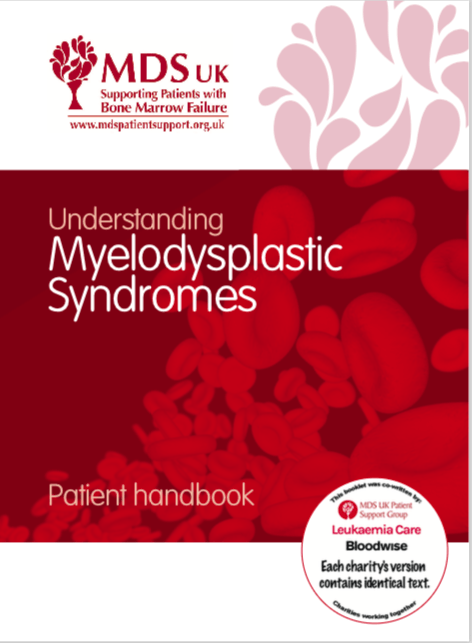 This booklet has been written to help you understand more about MDS. 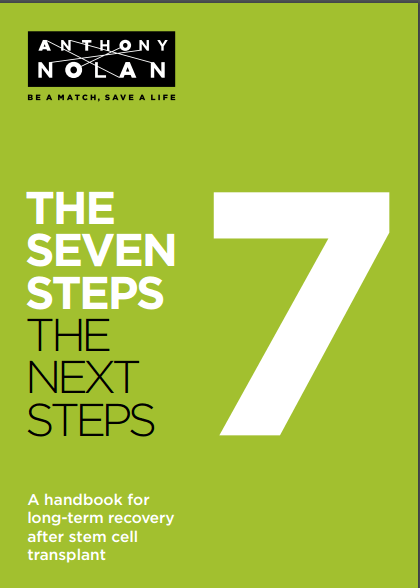 Learn more about the different treatment options in Chapter 7. Supportive care is not directed at the underlying disease but rather at controlling the symptoms and complications caused by the disease. This includes a number of drugs, such as azacitidine (Vidaza), which aim to slow the progression of the disease. They are active treatments, but they are known as "low intensity" or "non-intensive" treatments as they do not have the side-effects normally associated with chemotherapy. 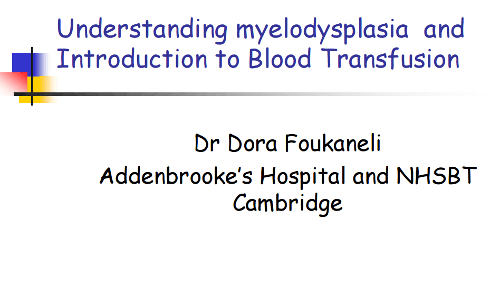 Immunosuppressive therapy, only suitable for those patients whose number of bone marrow cells is unusually low (hypoplastic). Anti-thymocyte globulin (ATG) or ciclosporin are immuno-suppressants. Learn about Fiona and her experience with Lenalidomide. Read more patient's stories. This treatment is the same as that used to treat acute myeloid leukaemia and aims to kill a significant proportion of the abnormal cells in the bone marrow to allow the bone marrow to work normally again (remission). Achieving remission, even if not a cure for the disease, can improve your quality of life (often almost to normal quality) as long as the remission lasts. The treatment, however, has a high number of side effects so patients need to stay in hospital for four to six weeks for each course. A small proportion of people may be cured by intensive chemotherapy alone, although usually when a donor is available, a stem cell transplant will follow. Are you are using a Hickman line? 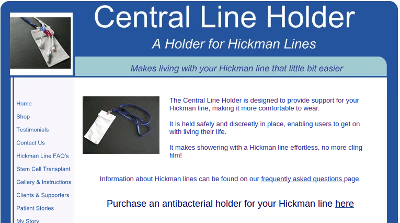 A patient recommended this special holder that makes the Hickman line a little more comfortable. She devised the product following her own experience. She is now looking for patients to test it and review it. 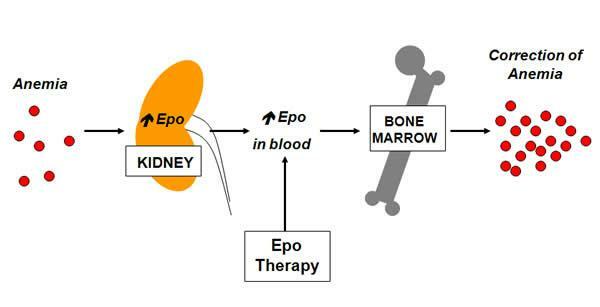 A stem cell transplant, also known as a bone marrow transplant, offers the chance of curing the disease. About one third of patients who receive this treatment are free of disease over many years but the disease may return (relapse). It's called allogeneic stem cell transplant. Allogeneic means that the transplanted cells are coming from a donor. Healthy bone marrow or stem cells are taken from another person whose tissue DNA is identical or almost identical to yours, so the donor is compatible with you. The treatment has many side effects and it is important that the decision to have an allogeneic stem cell transplant is carefully thought through by your healthcare team and yourself. Sophie Wintrich, Chief Executive of the MDS UK Patient Support Group, interviewed Prof. David Bowen – Consultant Haematologist at St James University Hospital, Leeds about genetics and the treatment of MDS, where we are now and where we’re heading. Watch the video. Should we start to insist that all MDS patients must have a genetic mutation test to establish what treatments may work out best for them?